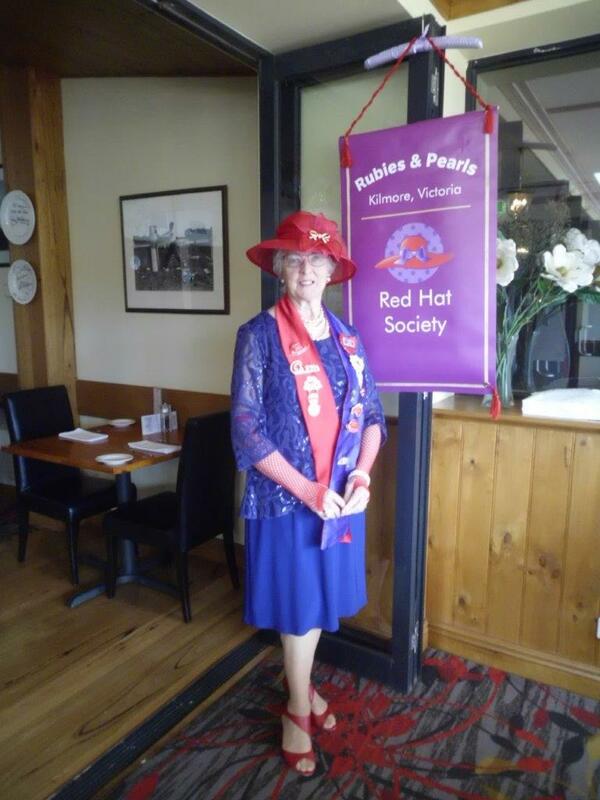 Rubies and Pearls of Kilmore were hosts to ladies of the Bendigo Golden Gadabouts and the Meadow Larks from Meadow Heights to celebrate the birthday of Red Hatting in Australia on Monday 25th July. Rubies and Pearls arranged a luncheon for all the ladies at Hogan’s Hotel at Wallan where they were wined, dined and entertained. 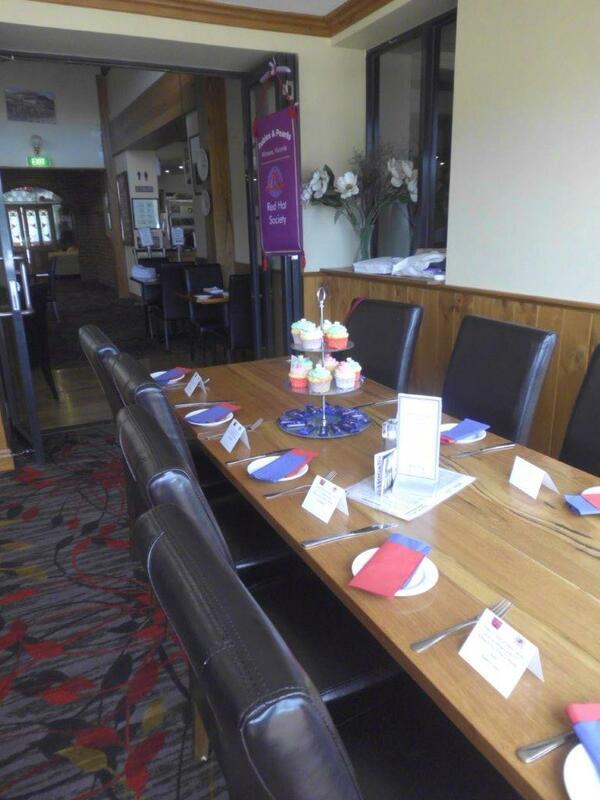 Vice Queen Kerry of Rubies and Pearls used her amazing culinary skills to produce the delicious cup cakes which were displayed on tiered plates. Our guests were happy to enjoy these delights after the luncheon. Chocolates in our colour, purple, were taken home for a late night treat. Door prizes were an eclectic mix of gifts in the Red Hatting vein and brought sighs of oooohs and aaaahs by the winners. A most enjoyable time was had not only for the birthday celebration but for the making of some new friendships. And isn’t that what Red Hatting is all about? This website is an unofficial website, with resources and information for Hatters around Victoria (Australia). This website is not affiliated with or endorsed by the Red Hat Society.